EMC Syncplicity is a a cloud based "Software as a Service" offering. The Syncplicity brand is owned by EMC Corporation. For companies that purchased substantial hosting services they create a custom branded EMC website for managing the cloud hosted accounts. 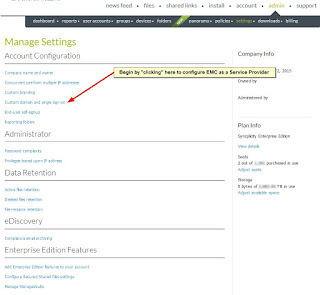 A cloud hosted account is a signed in user who has the ability to initiate and maintain a file storage session for the purpose of conducting file sharing services over the EMC Syncplicity cloud based file sharing system. Participants who maintain a cloud account are not individually licensed but receive web browser delivered software agents that enable their internet connected workstation or mobile device to use EMC cloud storage to share files. 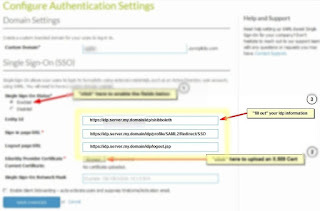 Customers of EMC often already have an authentication system such as Active Directory, and often use ADFS or an OASIS style SAML2 compatible Single Sign On service in order to avoid proliferation of account management issues and to allow members of their domain to remember only one set of logon credentials. 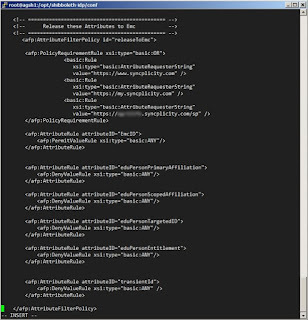 Images: within this document are Expandable by "clicking" on them to enhance readability. 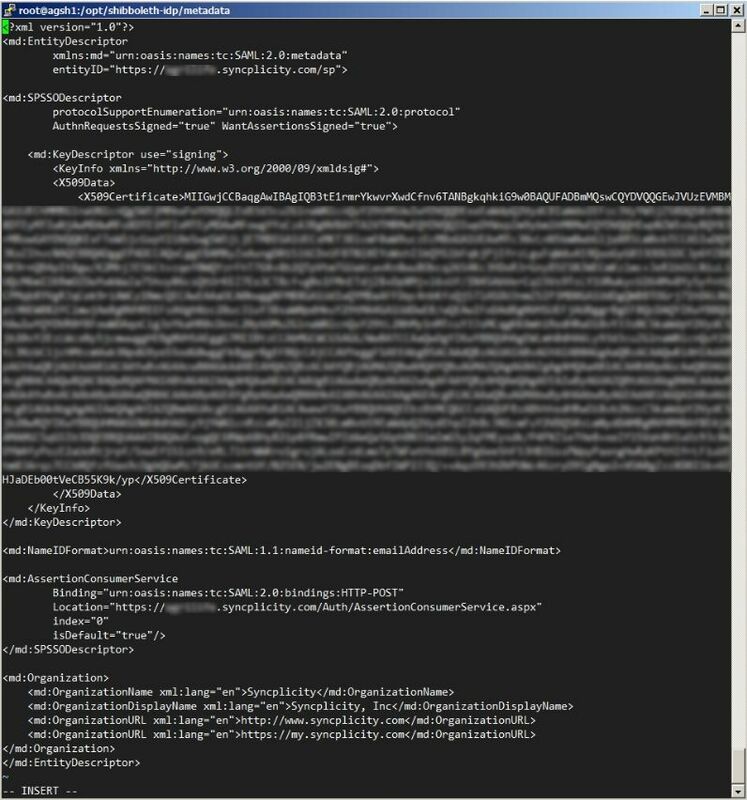 NOTE: When setting up SSO "the Management page" may log you out automatically after 30 minutes (before you are finished) . 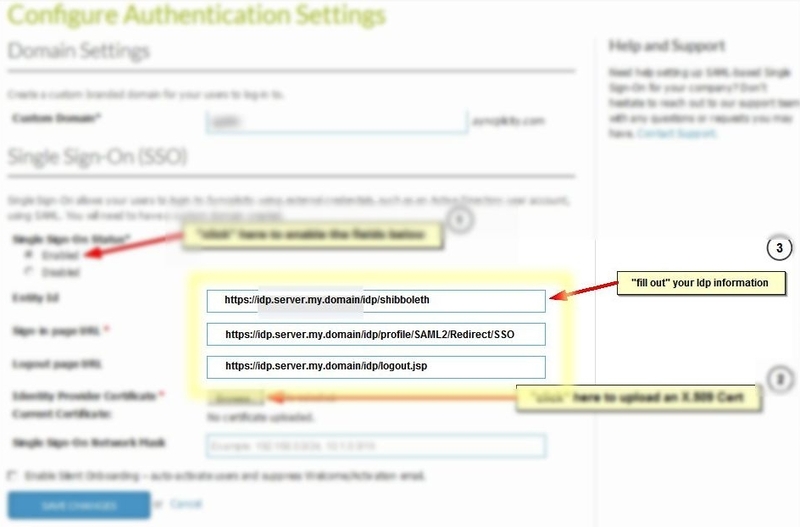 You can log back in regardless of whether SSO is enabled by going to the my.syncplicity.com website and "clicking" the triangle for Sign-in Help it will take you back to the Admin page for your subdomain account. 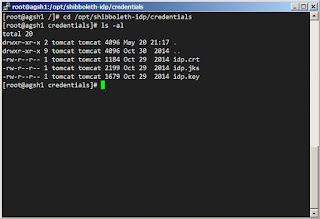 >>Custom Domain and single sign-on. The press [ Save Changes ] to save the settings. 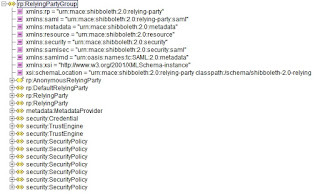 The EMC website needs to be added as a Service Provider to the relying-party file. 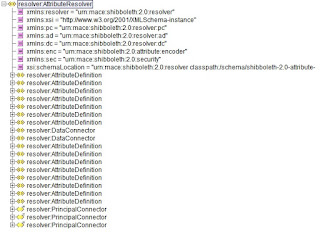 The EMC website will be "relying" on your Shibboleth server to provide "authentication". 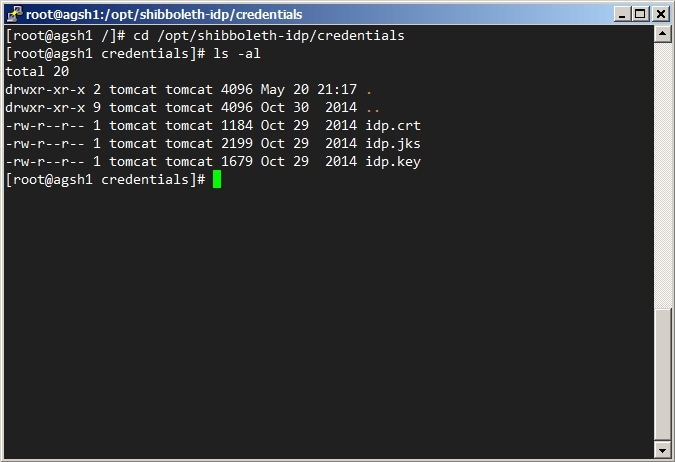 Where id = "Service provider (SP id) for the EMC hosted website /sp"
Where provider = "Identity provider (Entity ID) for your shibboleth svr"
The attributes to be returned to the service provider after a successful login need to be defined. 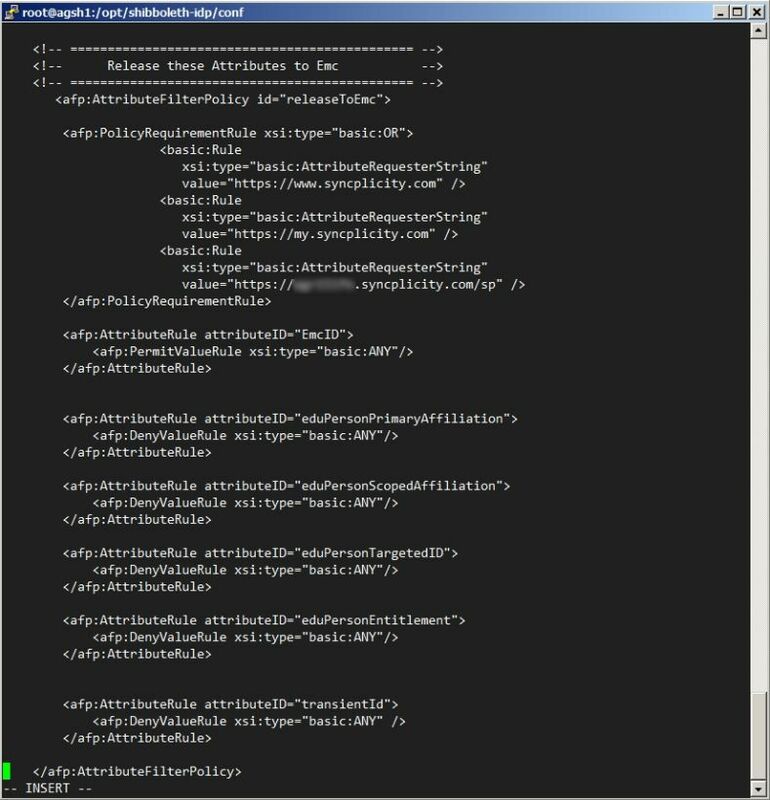 The attributes to be released need to be defined in the attribute-filter policy file. 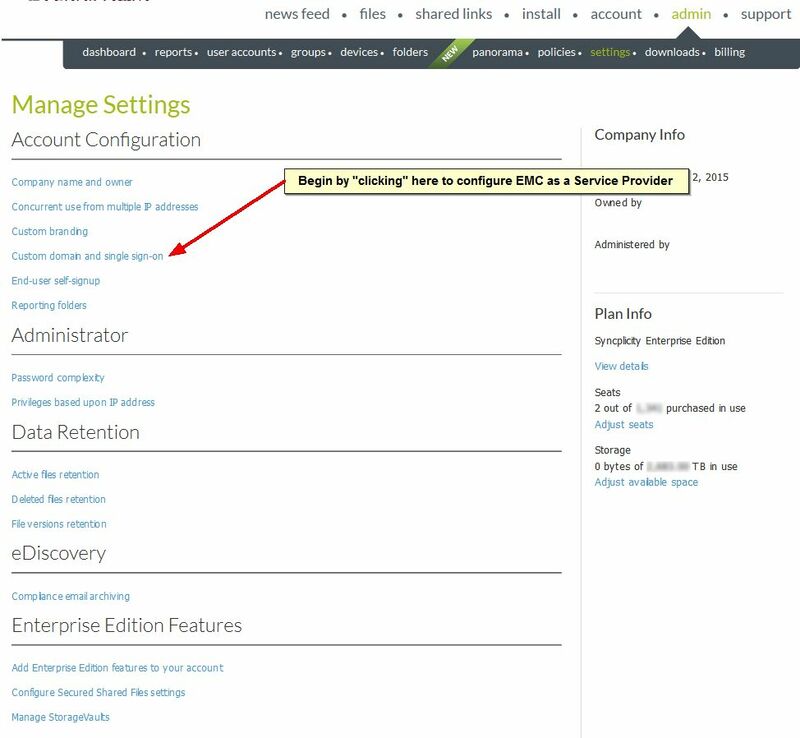 matches a User Account created in the EMC management page for this site. They will be allowed to initiate a Syncplicity file sharing session. 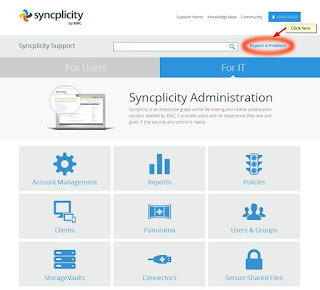 Syncplicity "uses" an Email address as the UID or Unique Identifier for a Syncplicity user account in their system. 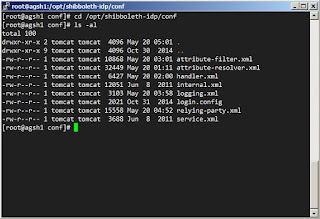 Shibboleth must return a NameID in an email address format that Syncplicity can use to "find" a Syncplicity user account in the EMC system. If it fails to find a match the user may indeed succeed in logging in with their SSO credentials but Syncplicity will present an error screen indicating it could not match up their login with a Syncplicity user account. 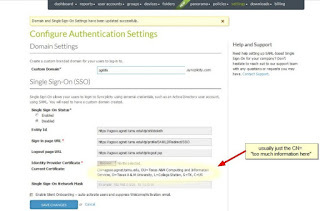 It is also not enough to return or "assert" an attribute for a successfully logged in user, it must be mapped or used as the NameID for the SAML conversation. 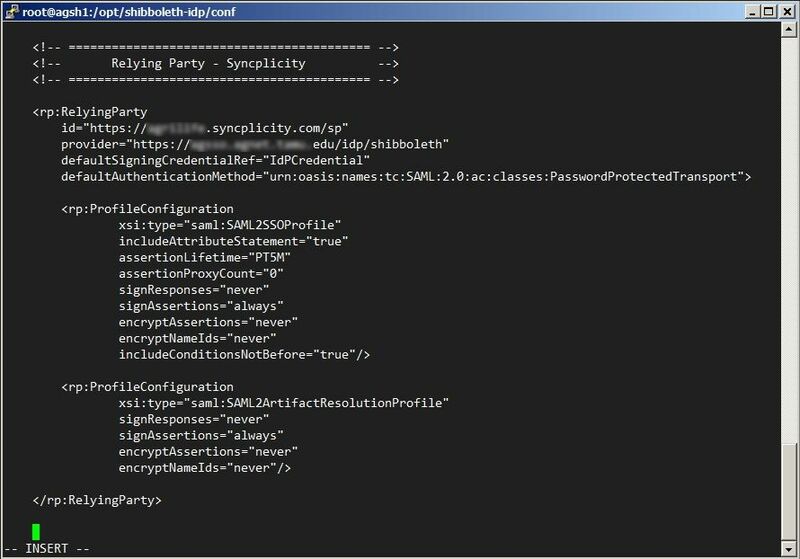 Syncplicity does not scan the attributes returned for "any" email address, it only looks at the NameID of the SAML conversation. This is "why" it is so critical to make sure a Transient ID doesn't get accidentally mapped into the NameID. It is in the wrong format and will not in general be sourced from the mail attribute for a user. 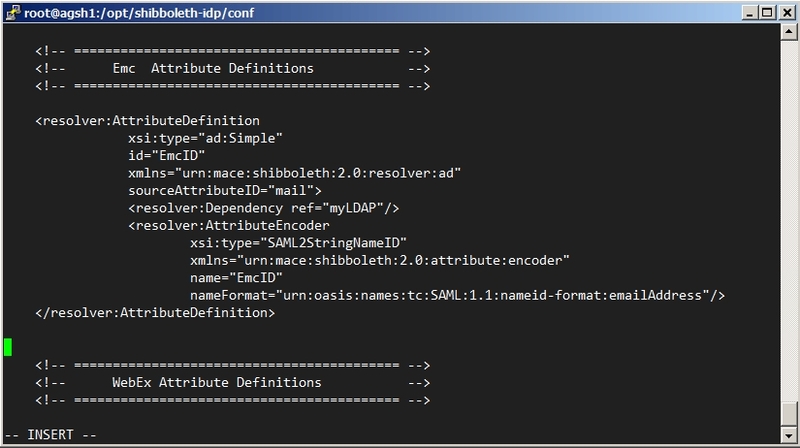 You can tell from the log messages in the idp-process.log when detail is turned up, which released attribute is being "used" for the NameID. This is a terrific troubleshooting step. 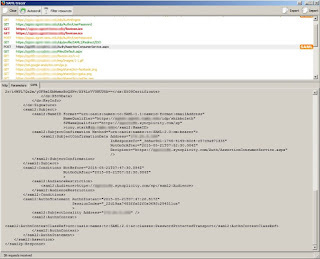 Its even easier if you use a SAML tracer plugin on Firefox to "watch" what is used as the NameID in the conversation between the browser and Syncplicity when it returns from a successful SSO sign in. 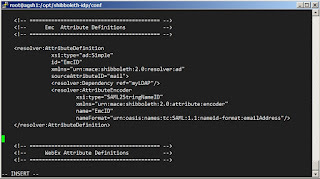 Which released attribute will be picked for the NameID can seem a bit random in nature depending on the attributes available after all the attribute filters for that service provider have been applied. 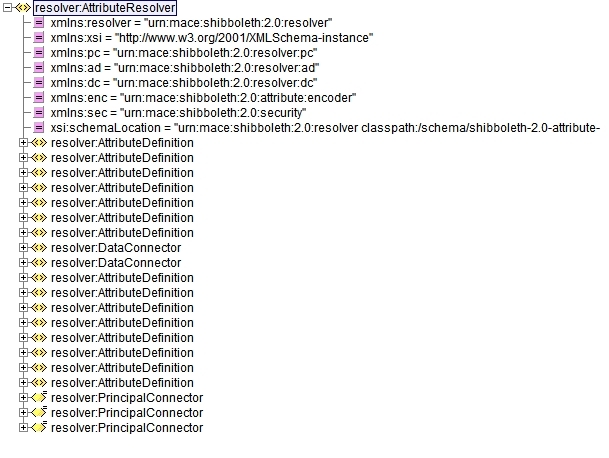 the ipd-process.log file will contain the most useful information. 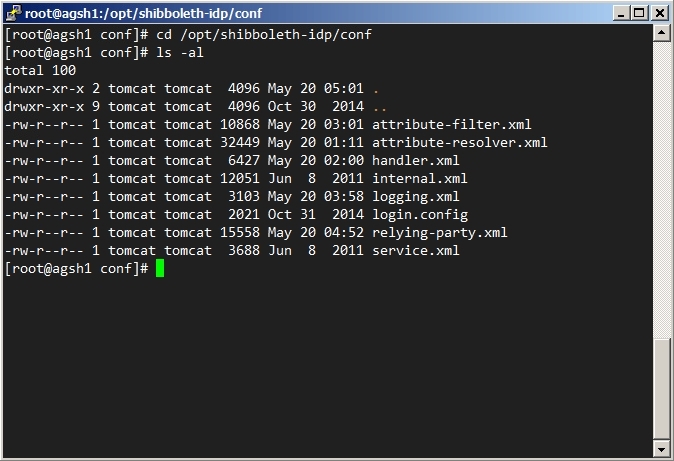 these log files typically roll over at midnight local time. 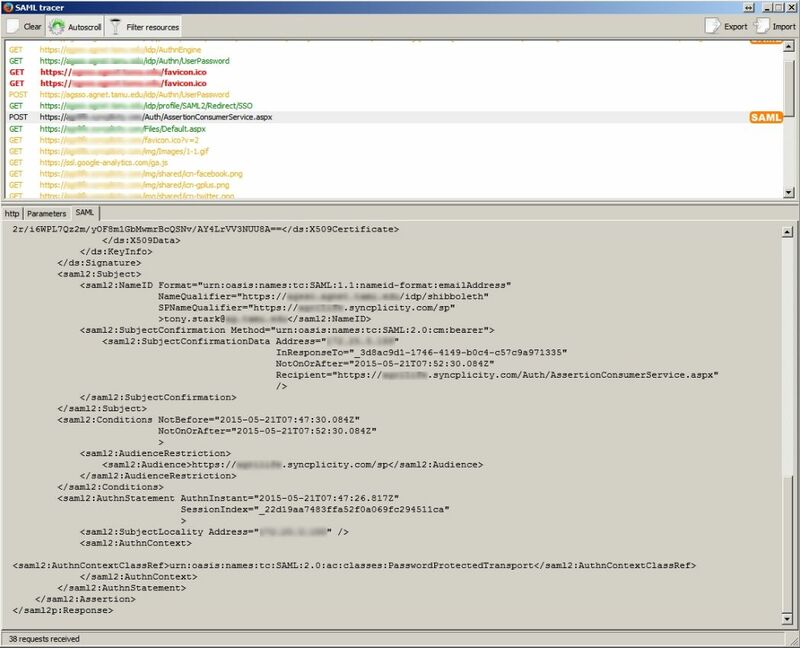 Be sure to reduce the logging detail after troubleshooting. 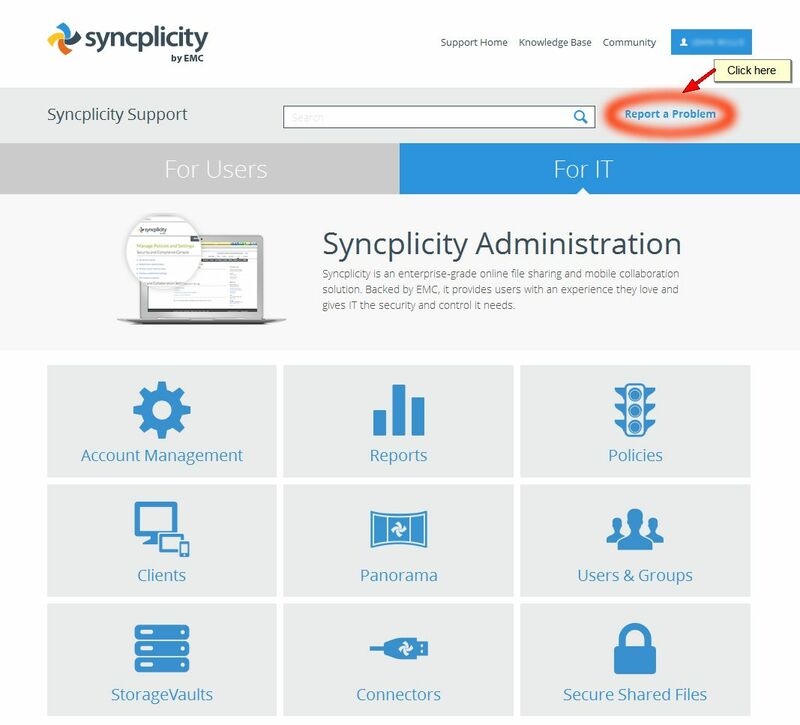 NOTE: works with Firefox version 29.0 and later "only"
Once SSO is enabled, only Users with accounts already set up in Syncplicity will be able to log into their Syncplicity accounts. 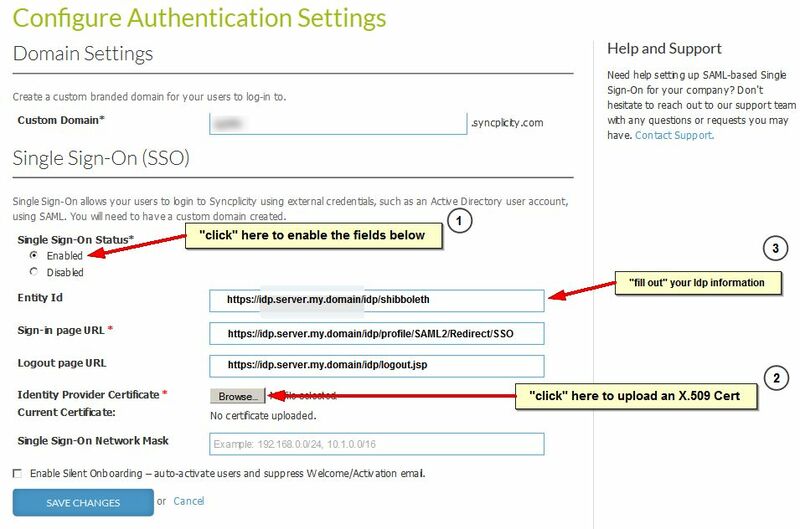 If "End-users" merely visit the hosted portal site at <custom-domain>.syncplicity.com and try to login with their SSO credentials. They may indeed succeed in authenticating, but upon return from their SSO login page Syncplicity "will not" proceed with the "Self-signup" process. They will be denied access. 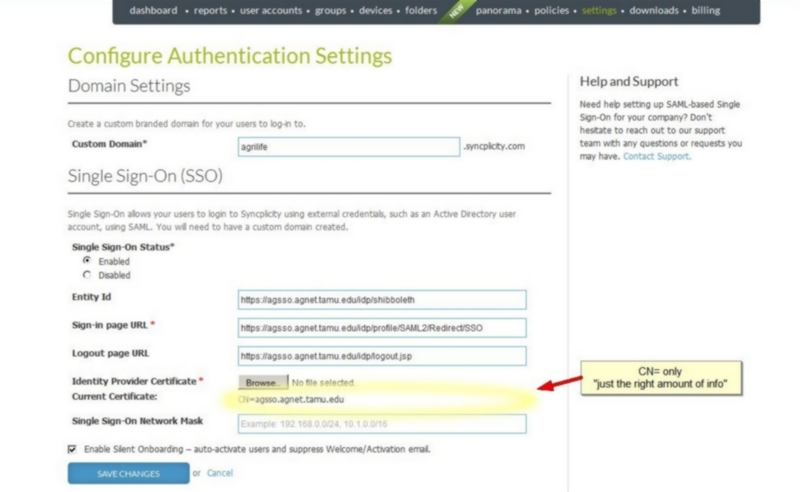 Setting up "End-user self-signup" is a completely separate Administrative task. 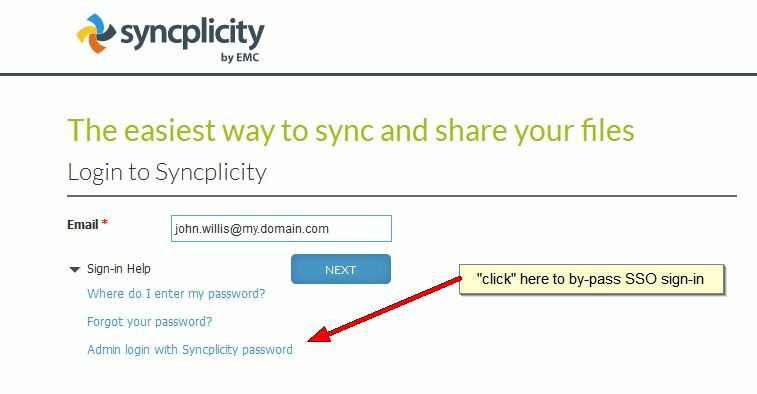 Once it is configured and enabled End-users will need a specially crafted "invitation URL" created for the Syncplicity hosted domain in order to begin the self-signup process. 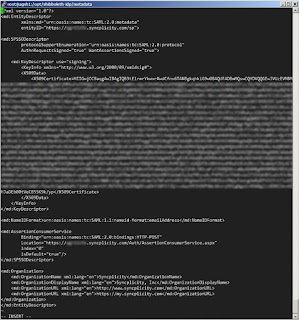 The "invitation URL" is unique to the hosted site, but not to the End-user, so once it is created the same URL can be shared with everyone who is entitled within an organization to participate.